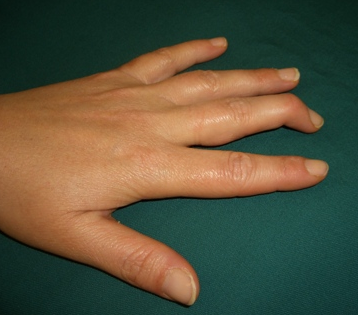 A mallet finger occurs when the tendon that straightens the end joint of the finger ruptures. A ball to the end of the finger is often the cause but sometimes something as simple as taking your socks off can result in a mallet injury. In some cases there may be a chip of bone as well. Therapy involves splinting the joint fully straight for 6-8 weeks. Therapists at Geelong Hand Therapy custom make mallet splints and also provide advice on mobilisation and return to sports. For appointments, enquiries or just to find out more about Geelong Hand Therapy, feel free to contact us any time.